We’re heading to Bendigo on the weekend of 27+28 October 2018! The Bendigo Tramways Depot was built in 1901 for the Electric Supply Company of Australia Ltd. At the time of building, the property also included what is today the Bendigo Woollen Mills, which housed the steam engines, generators and boiler until 1972. In addition to the tramway shed, the facility included cooling ponds, a blacksmith’s shop, carpenter’s shed, elevator house, and other support buildings. The Tramways Depot and Workshop may not have survived until today had it not been for the Bendigo community’s will to keep the trams running in Bendigo once they were shut down as a public transport option. This led to the introduction of the tourist tram service in 1972. 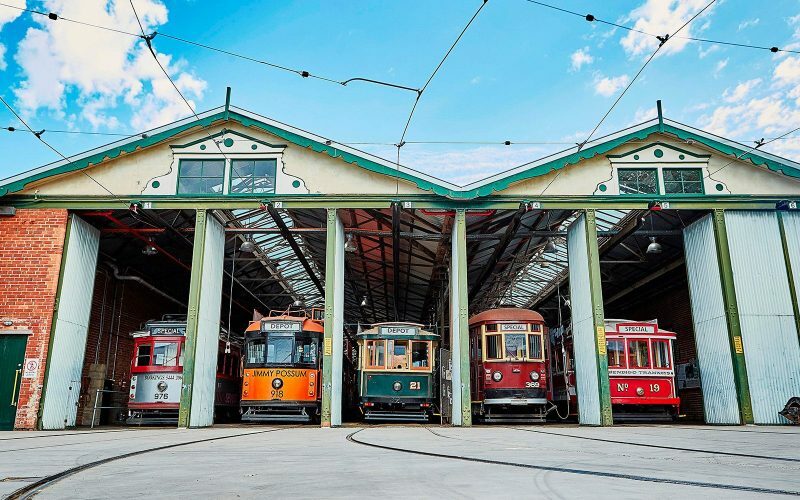 The tourist tram service will celebrate 46 years of service in 2018, which has resulted in this building now being recognised as the oldest operating tram depot in Australia. The tram shed has undergone numerous additions in recent times including the addition of the engineering workshop (2003), shed extension and the modification of buildings to make the site more suitable for tourism activities (2011). Bendigo Tramways is known nationally and internationally for its heritage tram restoration capabilities and its rare collection of heritage trams. Special Note: Enclosed shoes advised. Tour Details: Self-guided tours of tram depot and trams available during the opening hours. Guided conductor led guided tours at 10am, 11am, 2pm and 3pm running for 45 minutes. Groups are limited to 15 people at a time, arrive early to avoid disappointment.